Bonsai wire is used to hold branches in place. 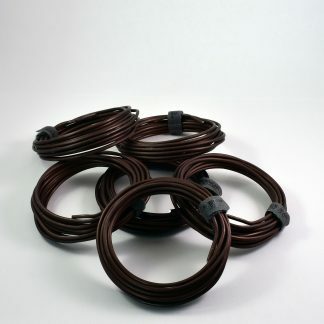 Aluminum bonsai wire is good for deciduous and broadleaf trees whereas Copper bonsai wire is great for conifers. Aluminum bonsai wire works really well on deciduous trees. It is easy to bend and potentially causes less damage to the delicate bark. It is also cheaper than copper. Copper bonsai wire works great of Conifers. 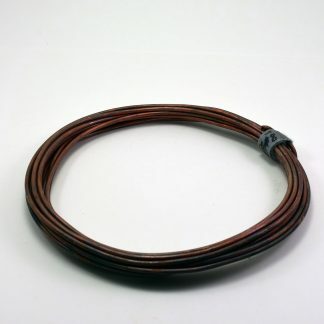 Copper wire work hardens as you apply it so it holds bends stronger than aluminum wire.